Dubai: Ashleigh Barty, who stunned Maria Sharapova to become the first home-grown hope in a decade to reach the Australian Open quarter-finals, owes her success to cricket. 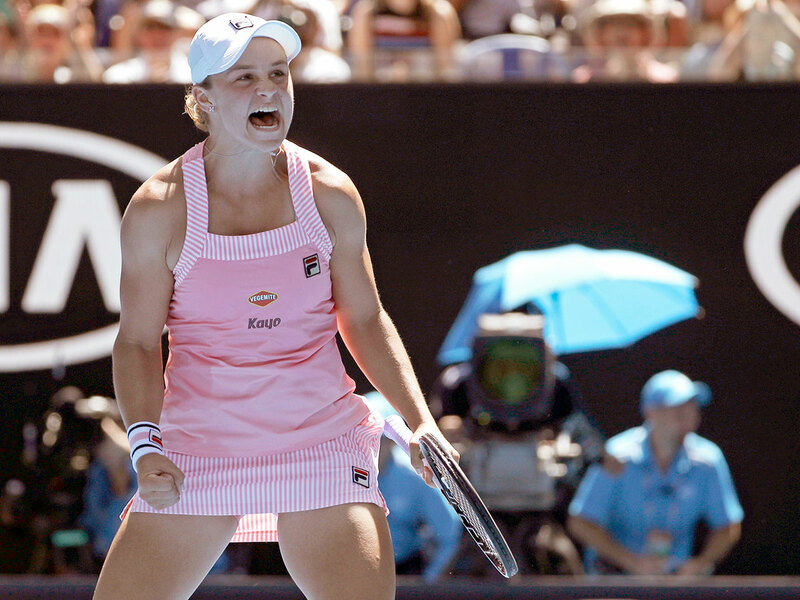 After stunning Russia’s five-time Grand Slam champion Sharapova 4-6, 6-1, 6-4 cheered by her home crowd fans, the 22-year-old 15th seed Barty revealed that her decision to take a break from tennis and play professional cricket had revived her career. The Queenslander had played tennis since she was a toddler but decided to give up the sport in 2014. She felt that the constant travel to different countries and the loneliness emerging out of it as well as the pressure from the fans to perform, forced her to decide that she should quit the game. Soon after her announcement she also revealed that she will play professional cricket to banish her loneliness. In 2015, she signed with the Brisbane Heat for the inaugural Women’s Big Bash League season. In her debut match she scored 39 runs from 27 deliveries against the Melbourne Stars. It was sensational news as Barty, who was only 19 years old at the time, had played in the doubles finals at Wimbledon, the US Open and Australian Open with partner Casey Dellacqua in 2013 and had competed in the singles at all four Grand Slams. Australia’s Prime Minister Scott Morrison and tennis legend Rod Laver were in the stands cheering for Barty during the match against Sharapova. Barty will now take on Czech rival Petra Kvitova in the quarter-finals on Tuesday.